Building P, Ground Floor, Garden View 1BD/2 BTHS condo of 883 SF for rent with huge terrace, BBQ Gas Grill, Outdoor Dining. The perfect Getaway spot to disconnect completely from your daily stress! Fine dining and all amenities at walking distance. We were extremely satisfied and thoroughly enjoyed our 2 week stay. This resort is in a great location with all amenities within a few minutes walk. The location of this condo is wonderful. It is in walking distance to a wide variety of restaurants in the area. The pool is located right outside the condo. This condo offers all the amenities of home, just bring your clothes and enjoy the stay. From the arrival to the end of our vacation we can only say great things about our holiday! The Go Punta Cana staff were courteous, timely and available if we had any questions or concerns (which I'm happy to report were none). Great location on the beach, and the condo is very comfortable. We hope to return soon! Rented P103 through Go Punta Cana and once again had a wonderful vacation! 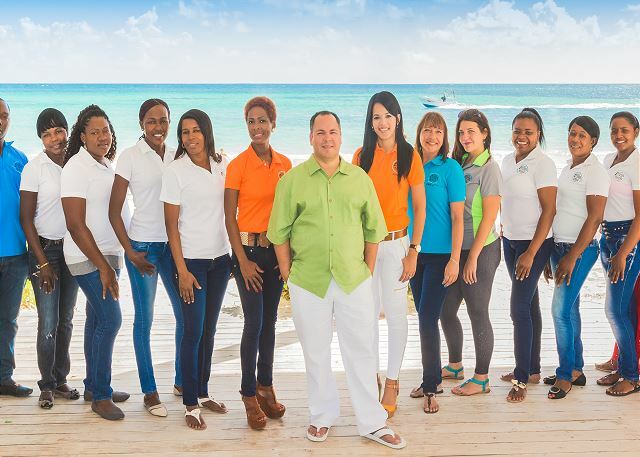 The Go Punta Cana Team are professional, friendly and accommodating! They can arrange an airport pick-up (ask for taxi driver Victor, he really is wonderful! )and they also meet you upon check-in to ensure you are well settled in your condo. They are terrific! Our unit was delightful! Well appointed, comfortable, and in an ideal location only 5 meters from the pool. The unit come Wifi, AC, great bed and pillows, safe, all linens including beach towels, selection of kitchen utensils, and honestly everything you require...just bring your clothes and move in. We felt safe, the grounds are lovely, pool well maintained and will be returning. 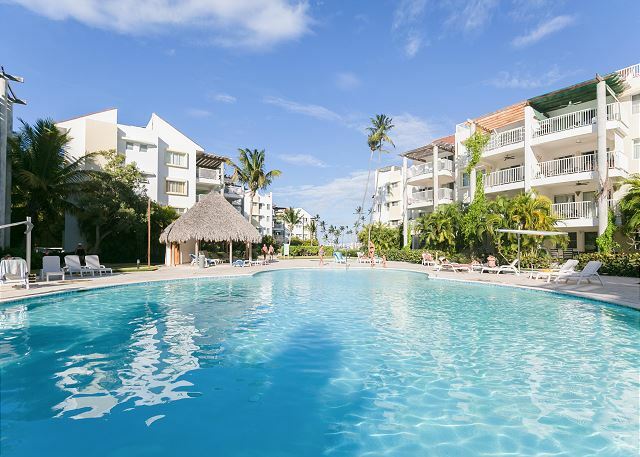 We would highly recommend Go Punta Cana and any of their condos. Playa Turquesa is an up-market condo complex of 16,3 storey buildings with a mix of 1,2 and 3 bedroom units. There's a pool at one end, close to the road, one in the middle and the beach at the far end. The landscaping is wonderful, the grounds immaculate and kept pristine. We rented 103, a ground floor one bedroom unit in building "P", close to the road and opposite the pool. s there. Punta Cana Real Estate gave us excellent service. The living room fan motor burnt out and was replaced in 48 hours. On that day, a Friday, we pointed out that the bedroom fan was slow and noisy. It was replaced the following Monday. Consequently we did away with air conditioning and spent only $67.00 on electricity over the 4 week stay. Very nice atmosphere. Clean.. Secure... AND A EXCELLENT STAFF!!!! The condo and property were exactly as advertised. We loved the location of this unit in relationship to the overall was like having a pool in our own back yard. The grounds and pools are maintained daily (except Sunday) and the beach area is as well. The location couldn't be be better and all amenties are minutes away including groceries, bars, restaurants, shopping, cafe/bakery, etc. The only negative we had was there were they small ant-like bugs that were in the cupboards and drawers and go into some of our open food. Might be a good idea to spray the cupboards etc. with some Raid between rentals.We learned to start keeping stuff in the refrigerator. Will defiantely be coming back! Thank you for your review and your feedback. We do have an exterminator come in monthly or if tenants inform us of a situation much like the one described, we can send him out to exterminate again. We look forward to your next visit.